Although rowing machines are among the more popular indoor fitness instruments available, the dizzying number of options available makes it extremely hard to choose the best rowing machine. Further, some wonder if the machines are better than treadmills in terms of exercise and calories burnt. The good news is, you’ve come to the right place for learning all about rowing machines, and what to keep in mind when deciding on the best rowing machine for your needs. Put simply, rowing machines are mechanical instruments which simulate the action of rowing a boat. 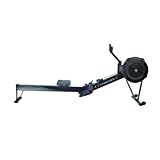 Also known as an indoor rower, the rowing machine typically consists of a braking mechanism connected to a chain or handle. Usually the rowing machine would include a rail on which the mechanism or rail would slide. However, the assembly, especially the braking mechanism, varies greatly from device to device, and the method of usage varies accordingly. Broadly, however, they are divided into damper and motion type rowing machines. Optionally, the rowing machine may have a digital display for showing the amount of distance traveled, etc. It measures this, or the amount of calories burnt, by measuring the speed of the flywheel during the stroke, and the speed at which it slows down. It uses this and the known moment of inertia of the flywheel to measure energy usage, speed, power and distance. Some devices allow for the meters to be connected to a computer as well. Anyone watching the Olympics would note how fit and athletic rowers generally are, having strong arms, a perfect abdomen and a well built lower half of the body. This would not have been so had rowing not been an extremely demanding yet highly rewarding type of indoor exercise. According to US Olympic rowing coach Mike Teti, “Rowing machines provide the best total-body workout of any cardio machine ” This is a natural corollary of rowing being equally an exercise of the upper and lower body, which helps in maintaining the balance during a workout, and leads to overall cardiovascular fitness. Added to this is the benefit of developing musculature on the biceps and triceps, as well as overall improvement of blood flow. This gives you an edge over jogging on the treadmill, or any other exercise which tends to be demanding only on the lower limbs. A natural result is that blood flow throughout the body is improved, thereby helping metabolic activities. These are just some of the Rowing Machine Benefits , you can find out more in our detail reviews. We will introduce you to a comparison chart detailing the 5 products. This will be really useful for you because it provides a comprehensive view of both the pros and the cons of a certain product. Coming from a company that has a solid reputation for making Olympic-standard fitness equipment, you would have high expectations of the product, especially if we told you that the machine does not come cheap. However, our review showed that it performed exceedingly well on a number of counts. It is both comfortable,thanks to its contoured and padded seat, and highly durable, matching up to the company’s claim that it can take literally years of abuse from grueling workout sessions. Being essentially a air resistance type rowing machine, it allows you to modify the amount of air going into the flywheel, though this does not modify the resistance but changes the experience. Regarding its capacity and length, the machine can accommodate virtually anyone, and comes with a 5” extension for $250 for the exceptionally tall. Finally, its monitor comes pre-loaded with extensive details and supports a card which can be used to see one’s training details on another machine of the same model. Coming from a company that supplies high-quality products at excellent value to the fitness and leisure markets, showcasing hundreds of products around the world over the past two decades, you will find many attractive features in the Stamina Air Rower Rowing Machine. It is so strong steel frame (with three year warranty on the frame), sturdy cord and good flywheel, quite smooth and highly comfortable. Beside, it has a simple control panel, which records distance traveled, speed, strokes count and calories burnt. Being a magnetic rowing machine, it provides a very quiet and smooth rowing experience. 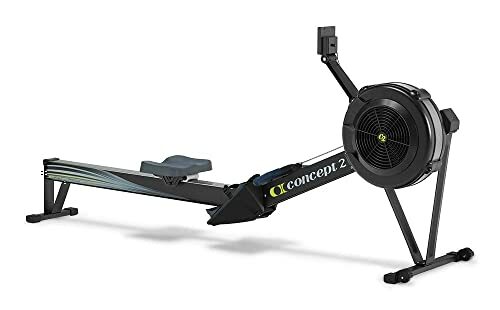 Made from extruded aluminum beam which is extremely sturdy, even by the exacting standards of professional rowing machines. The seat and the handles are made for optimum comfort, with enough padding to ensure that even long workouts don’t wear it out. The WaterRower Oxbridge which is made in USA, is really outstanding compare to other rowing machines. Thanks to water resistance, this rowing machine provides the most realistic of motions, with real rowing experience. 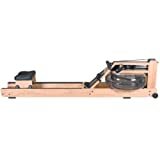 It is handcrafted in solid cherry wood that not only makes the machine is maybe the best looking of all rowing machines but also enhances the WaterRower’s quiet performance and smooth operation. 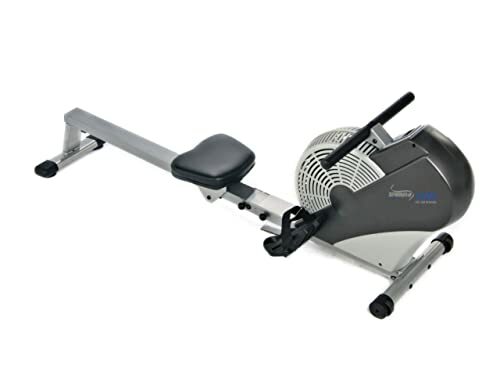 With many great features and specifications, this rower was appreciated by many users. 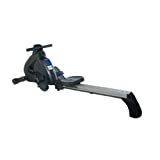 Indeed, the WaterRower Oxbridge has got an excellent rating of 4.8 out of 5 from its customers on Amazon.com. 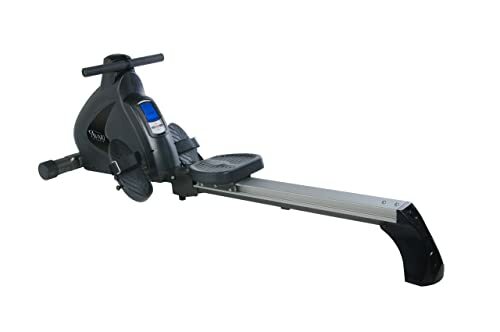 This rowing machine is perfect for those who are looking for a best water rowing machine which offers all good features and specifications: sturdy frame, smooth and comfortable working and a multi-functional monitor. Before we introduce you to the different rowing machines available, it is best that you know the different types of rowing machines available. Each rowing machine has its pros and cons, including price considerations, and therefore, one has to keep these in mind when selecting the best rowing machine for oneself. Air resistance: An air resistance rowing machine uses a fan blade which is housed in the flywheel. When the user moves the flywheel, the fan is moved, creating resistance. The rowing machine of this type has some pros: great control, makes you work at your own pace and great for tall people. Beside, it has some cons, like rather big and makes a lot of noise. Piston resistance: These have a pair of hydraulic pistons attached to the handles of the rowing machine, and therefore create hydraulic resistance as you row. They tend to be cheaper than the air or water rowing machines, and also more portable, allowing you to simply fold them up after you’re done with rowing for the day. Further, they’re easier to learn for beginners. It is smallest of all types, among the cheapest, high usability. But it need maintainance required and operation not as smooth as magnetic. 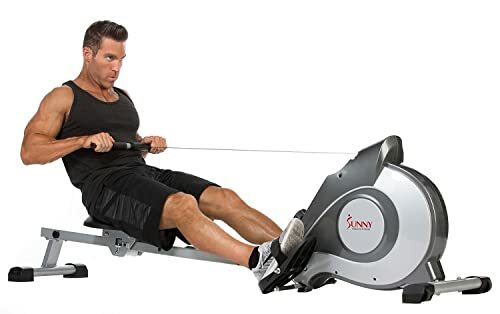 Water resistance: This type of rowing machine comes with a water tank that has paddles suspended in it, so when you’re rowing, you’re actually paddling in water. This tends to add a realistic dimension to the rowing machine that cannot be found in any other type. 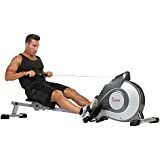 In general, however, they tend to compete with air resistance rowing machines as the popular option among those who aren’t too worried about the price. Its cons are quite big, not easy to store and most expensive. But it has the great pros, like real rowing experience and smooth operation. Magnetic Resistance: As the name suggests, magnetic rowing machines use magnetic resistance from electromagnets. It has many pros, like smooth operation, noiseless, customizable, small, almost nomaintainance required. But it is quite expensive. Get an idea from the local gym: It is always better to begin with a gym, so you get an idea of a rowing machine. Most gyms have a rowing machine, so you can do a routine or two on it, and ask the instructor how to use a rowing machine correctly. This ensures that once you’re on your own, you don’t hurt yourself or damage the machine through incorrect usage. You could however get a personal trainer for the purpose, who will guide you through the purchase and usage of a rowing machine. Available space: Assuming however, that you’re not taking any expert help on purchasing the rowing machine, it would be advisable to decide exactly how much space you have. As indicated above, different rowing machines have different levels of portability, so if you’re short of space, an air or piston rowing machine might be ideal. Type of Workout: The second consideration is the type of workout you’re aiming at. Do you want a well rounded and comfortable workout, or do you need an intensive workout that will be part of an athletic routine ? Or perhaps you would prefer to enjoy the actual sensation of rowing without getting your feet wet ? 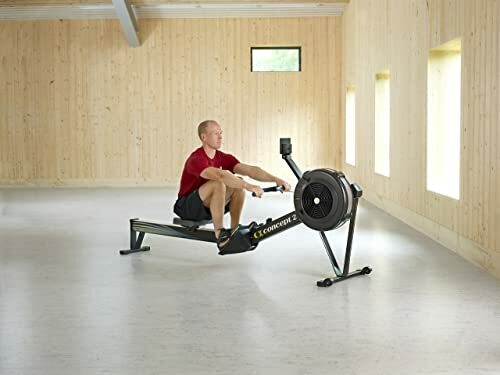 If you want the complete rowing experience, you would be advised to go for a machine that has Scandinavian/Latin pull system, which reproduces the rowing method as faithfully as possible. However, this is especially difficult to master, requiring excellent coordination between the different parts of the body. The benefit is that it provides a workout for the entire back, as well as the limbs. Coupled with the water resistance type, this pull system can produce the best rowing machine for anyone seeking the actual experience of rowing. However, for those simply seeking the best workout, the Central Pull system is ideal, since it provides a fluid movement and a more symmetric motion. This has made it highly popular in gyms and homes, and is currently available with virtually every type of resistance. If you want to use it for an athletic training program, it is advisable to buy one which has a high number of resistance settings, such as a magnetic or air resistance rowing machine. Type of Console/Control Panel: Depending upon your needs, you can choose the right type of console. Even the basic consoles these days display exercise time, calories burned and distance traveled, but there are many more sophisticated consoles. Some machines allow you to attach a heart belt and measure the heart rate using it. Finally, some machines also provide inbuilt training programs. Consult your doctor: Like every type of exercise, rowing puts stress on certain specific muscles, though it is more well rounded than other types of exercise. However, before going in for a specific machine, it would be worth while to inquire whether you have any type of limitation which may prevent you from using rowing machines in general or a particular type of rowing machine, so that you do not have to regret your decision later. 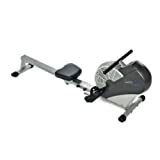 Pricing: It is wise to decide a budget range before checking out the available rowing machines, not only because you may end up burning a hole in your pocket, but also because it is difficult to choose the right machine as each has a different price range, with piston resistance machines being the cheapest and water resistance machines the costliest. In this article, we’ve covered all that is required for you to make an informed decision when choosing your rowing machine. We could tell you that X is the best rowing machine, but that would be unfair of us, since every rowing machine comes with its own specialties and shortcomings. Hence, all that we can ask you is to keep these points in mind, and then carefully decide which rowing machine is best suited to your requirements.